What if bike comfort is more important than bike safety? 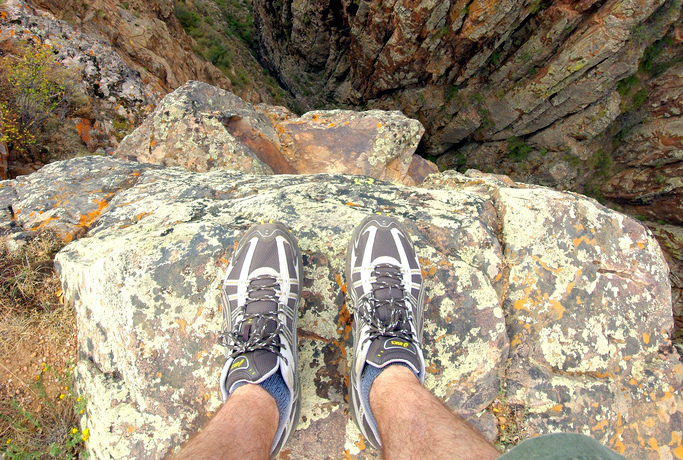 When I’m standing near the edge of a high ledge or cliff, I know, rationally, that I’m unlikely to fall. I’ve spent most of my life without spontaneously tumbling sideways, and standing on the edge of a cliff doesn’t change that. But that doesn’t mean I like to stand near the edge of a cliff. When I’m in the front seat of a roller coaster, I know, rationally, that my body is extremely safe. 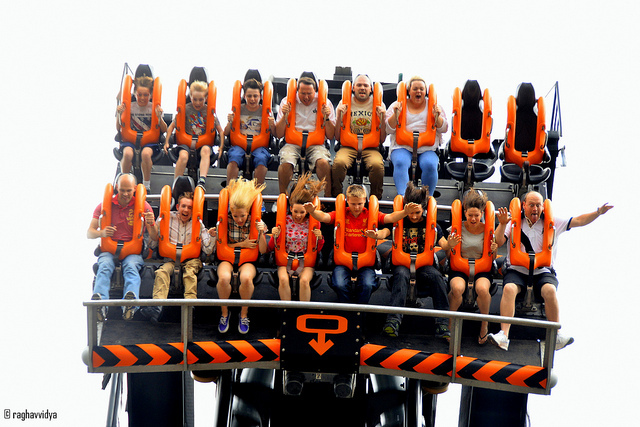 Tens of thousands of thrill-seekers have raised their hands in the air without being harmed. But that doesn’t stop me from being scared of raising my hands in the air in the front seat of a roller coaster. When I’m riding my bike along a five-lane arterial road, I know, rationally, that the professional truck driver next to me is statistically unlikely to suddenly swerve to his right, crushing and killing me. Last week, I interviewed a man whose main ideas about street design have been rejected by mainstream bike advocates in the United States: John Forester, founder of the “vehicular cycling” concept. Because cars and bikes rarely collide when they can see each other, Forester and his allies argue, people should ride bicycles where they are most visible: right down the middle of standard traffic lanes. Protected bike lanes modeled on those in Northern Europe, they argue, move people on bikes to the side of the roadway where they’re harder for people in cars to see. There’s something to this argument. If there weren’t, it wouldn’t have been nearly so successful in the 1970s and 1980s. To Forester and his more moderate successors, such as Bicycle Quarterly’s Jan Heine, peoples’ desire to use protected bike lanes is irrational and therefore unjustifiable. There’s a standard response to Forester, Heine and others who make this case against protected bike lanes: that although no intersection is perfect and a given protected lane might slightly increase the short-term risk of collision at a given intersection, a city that offers a robust network of protected lanes will actually become safer in the long run, because more people will ride bikes. This is a pretty strong argument. But is it the best one? 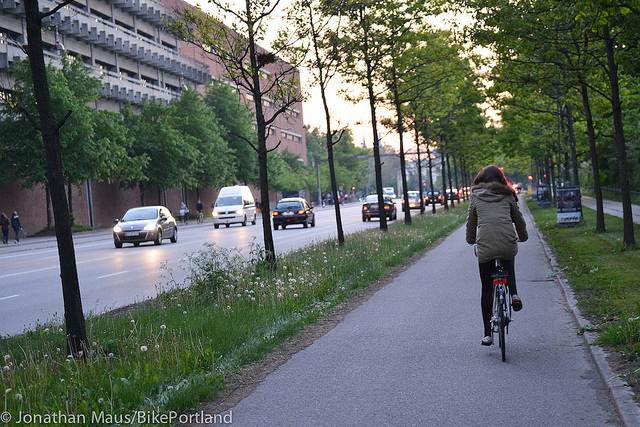 What if Forester, Heine and others are using the wrong metric to measure the success of a bike lane? What if “safety,” as calculated by government statistictians who sit far away from speeding semi trailers, isn’t actually a bike lane’s most precious characteristic? What if bike designers, instead of arguing about safety &em; an argument that, to be clear, I think protected bike lanes would win — decided that the most important measure of a good bikeway is whether people tend to like it? I’m not arguing that safety is unimportant. Obviously nonprofessionals are imperfect judges of whether a particular lane or intersection is safe, and cities must work carefully to design good, safe intersections with few bike-car conflicts. But when professionals make safety their only absolute value, they presume that physical safety is the most important value in people’s lives. And that assumption is demonstrably false. Of course people want safety. But they want other things, too. A restaurant doesn’t measure its success by the percentage of people who dine there without getting sick. It measures success by the number of people who come in the door, how much they pay and how often they return. A public transit line isn’t funded by the federal government based on its anticipated vehicle failure rate. It’s funded based on the number of people who are expected to use it. And as for bike infrastructure, here’s the thing: as one study after another has found, people go out of their way to use bike lanes, especially protected bike lanes. Surprise! It turns out that, rationally or not, people dislike biking on a street that constantly reminds them of their own possible demise. Even if, rationally, they know they’re almost completely safe. 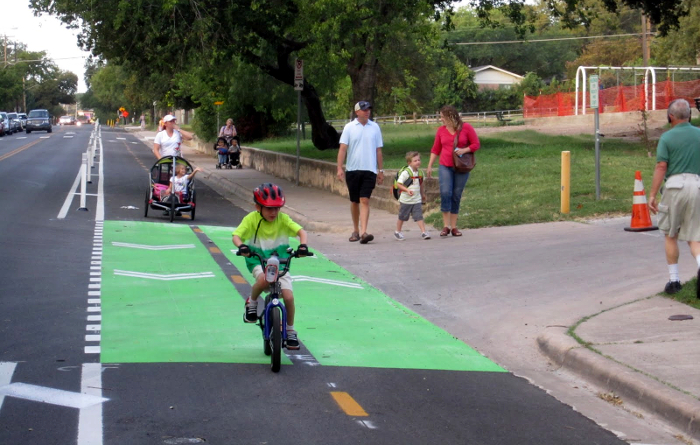 In every city, making the number of anticipated users the primary metric for designing a desired bike project. In every city, actually taking efforts to measure the usage of important bike projects. Using the phrase “safety and comfort” as a pair of core values in street design, but not as a pair of synonyms. This line of thinking is why, at the Green Lane Project, we use the phrase “low-stress” to describe the bike networks we value most. And we don’t talk about building “safer bike lanes,” though ultimately a network of good ones is safer. People aren’t robots, and they don’t change their behavior based on mathematics. They change their behavior based on feelings. Until bike advocates and street designers alike understand this, bikes will never successfully belong. Protected bike lane idea of the day: Street designers should consider making short-term safety a baseline requirement of better bike facilities, but not the sole measure of bike projects’ value.